Mercury is a toxin emitted into the atmosphere through such human activities as coal burning. 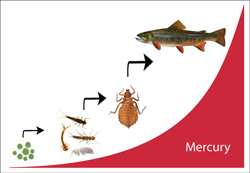 It is deposited onto habitats and then absorbed into food webs, which has devastating effects on wildlife and human health. The National Park Service (NPS) is charged with protecting America’s natural resources. 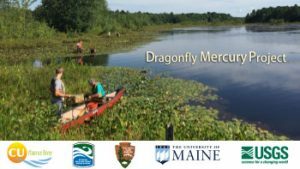 Since mercury is threatening the integrity of these resources, the NPS, USGS and the University of Maine aim to generate baseline data to better understand the distribution of this substance in the environment and the damage it is causing. CU Maurice River helps gather specimen on the Wild and Scenic Maurice River for the nationwide study. In 2011, the project was conducted in only a handful of locations nationwide. One of the driving forces behind the study is the dedication of citizen scientists. 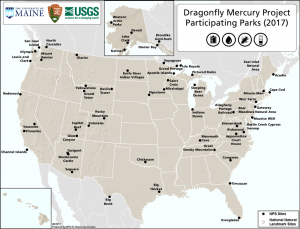 Since the beginning, over 1,000 volunteers of all ages and of all backgrounds have come together from every corner of the US to collect dragonfly larvae from riverbanks for mercury analysis. As of 2017, there are 60+ parks participating in the study. 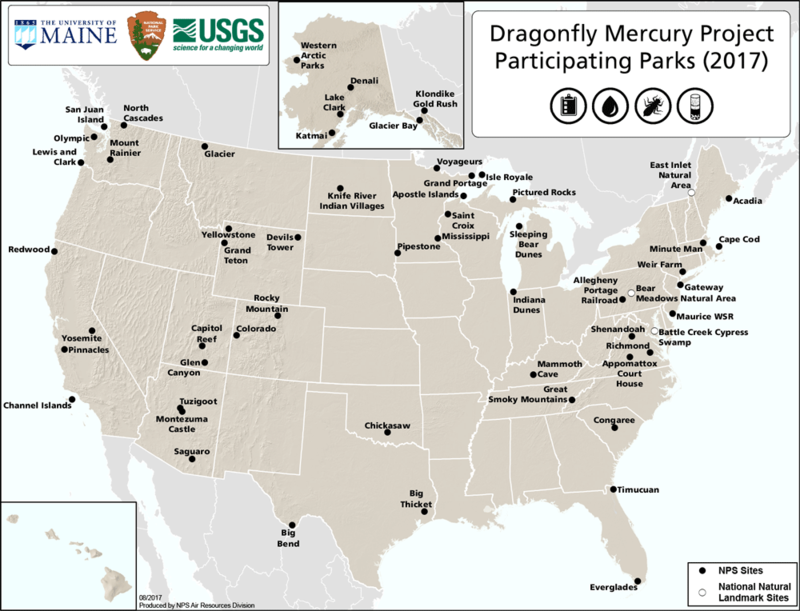 The NPS and CUMR aim to empower citizen scientists and to improve awareness about mercury infiltration in our local, national treasure. We sample at sites on the Maurice, the Manumuskin, and the Menantico Rivers. 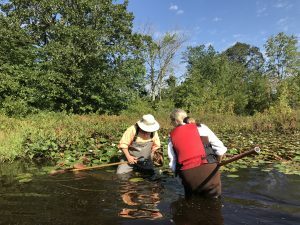 Currently, scientists at the University of Maine are working to process the 135 samples that were collected by over 90 CU Maurice River citizen scientists over a three year period. They will generate a park specific datasheet on their findings, which we will share with the public. Every year, CU Maurice River needs your help at the end of the summer to participate in this captivating citizen science research effort.